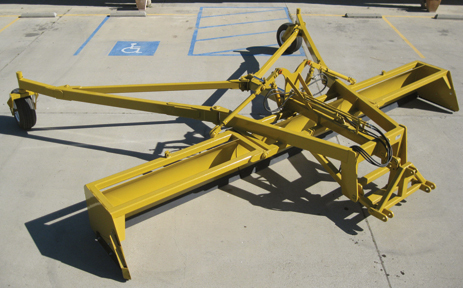 VARI-TRAC – SWECO PRODUCTS, INC.
Bucket: 20’ Wide; 24’ Wide Fold Up Wings For Easy Transport; Hydraulic Lift. 1-15/16” 4-Bolt Piloted Flange Bearing For Longer Life and Easy Removal. Transport: 11L-15 Transport Wheels; Hydraulically Actuated. Upper Pivots: Taper Roller Bearings; Greasable with Seals & Dirtshield. Lower Front Pivot: Greasable Heavy Duty Pin & Bushings. Mud Scrapers: Standard with Steel Wheels. Weight: 40’ Approximately 6,900 lbs. ; 30’ Approximately 6,500 lbs.